When you're carving in stone, there is no room for error. Crafting headstones and memorials since 2011. My husband said you called him and asked about the monument. I have meant to call, but I keep forgetting. I thought I would send you an email since I was thinking about it. We stopped at the cemetery and thought you did a wonderful job. I was surprised at how big the memorial was. We are very happy with the job you did. Anyway, I wanted you to know how pleased we are. The ledger is beautiful, Jack. Thank you so much. I'm so glad I chose you to do it for me. Thank you very, very much. Jack did an outstanding job on our son's headstone. The care and quality he provided were outstanding. We couldn't have asked for anything better. He took my rough drafts and made enhancements to the layouts so I could get everything on the headstone's front and back. Jack, thank you for your kindness and caring. We had a great experience! Loved their work and their help on such short notice! I would like to take this time to thank Barnes monuments for doing a great job with my husband headstone. the image on The Headstone is based on the one my husband drew that he wanted on The Headstone because we did a lot of fishing. The stone turned out a lot better than what I thought it would once they completed the engraving and setting the stone it is gorgeous . they did a fabulous job thank you. I would recommend using them to anybody that is looking for a headstone . If a family has a drawing that a love one has drawn and wants to use it on the headstone they will work with you. Anybody that is looking for a headstone, they were very patient and caring about making the family feel welcome and we'll taken care of. Very friendly and helpful with great attention to detail! Great job! We design, engrave & install every headstone we sell to give you the most options, best price and highest quality possible. This picture is of an actual memorial in our shop with the abrasive blast stencil freshly applied. The next step is to double check all the information and load it into the blast booth to carve all lettering and designs. This is just one of the many processes that goes into preparing a headstone. By doing all of this work in house, we are able to keep an exceptionally high standard of quality. 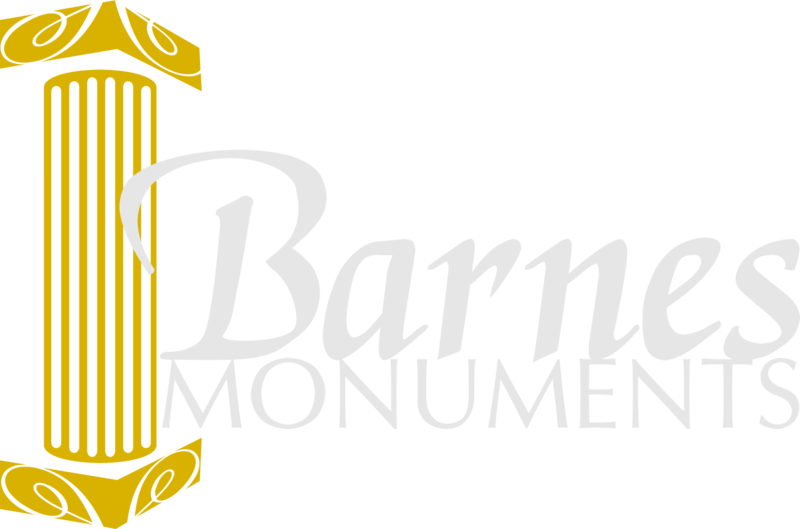 Copyright © 2019 by barnesmonuments.com at Pressable.